It was easy to get to the quaint town of Harstad; a direct flight from London to Evenes folowed by a 35 minute drive by coach. It is a picturesque municipality of 25,000 inhabitants with numerous islands and islets with a central area, basically a square with a few connected streets leading to the harbour on one side and housing on the other. The small commercial district is refreshingly free of high street names (just an H&M and, bizarrely, a Specsavers). But it does feature some cosy tea places and a number of high end restaurants. But we were here to explore the region and hoped to see nature’s light show – Northern Lights. There are two dozen of us are standing on an otherwise deserted Norwegian beach in sub-zero temperatures staring up at the night sky in the hope of catching the Northern Lights. But, the lights – or Aurora Borealis, – can be fickle. The previous group on our programme got to view them every night. Yet a couple in our party were on their fifth visit without so much as a glimpse. In daylight, the views out to sea are stunning, particularly in the winter sun, and the freshness of the air almost makes you forget the cold as you wander its snow-lapped streets. The sky, as dusk falls is also pretty spectacular. But it’s the dark, crisp conditions that bring out the lights and the weather had not been playing ball. So it took just two words from the Inghams rep Craig – “They’re up” – to send diners in our hotel scurrying back to their rooms to get multi-layers of warm clothing. Then it was half-an-hour by coach to the beach during which an accompanying photographer explained how to capture the perfect image. Should you (as we had) been seduced by descriptions of a colourful explosion of light dancing across the sky, the reality is somewhat different. The naked eye picks up changing spectral shapes of grey and white. Yet when we looked at the images taken on the fancy cameras, a very different skyline emerged, illuminated by a powerful green and rich violet hue. In Norway, Harstad is noted for its gastronomic excellence and given the high cost of just about everything – menu browsing outside a basic restaurant, I calculated that the cheapest pizza cost the equivalent of around £14 – it was good news that our tour package included dinner at Umami, across the road from our hotel. Its young chefs Sigrid Rafaelson and Kim Harvard Larsen served up an exceptional three-course meal, plus appetisers, in the intimate dining area. The menu majored on local produce with top notch champagne and paired wines. Incidentally alcohol prices are strataspheric. We were told that locals travel to Sweden to do their wine shopping. We had made an early start to join Hurtigruten cruise ship passengers who were on an 11-day tour of the Norwegian coastline for breakfast and three hours of unspoilt views and to be taken on a coach trip through the spectacular island of Senja. On the National Tourist Route, we stopped off at points of incredible photo-friendly natural beauty before reaching our lunch destination, Hamn i Senja (population 10) for a fish main course in the eponymous hotel restaurant followed by apple pie. 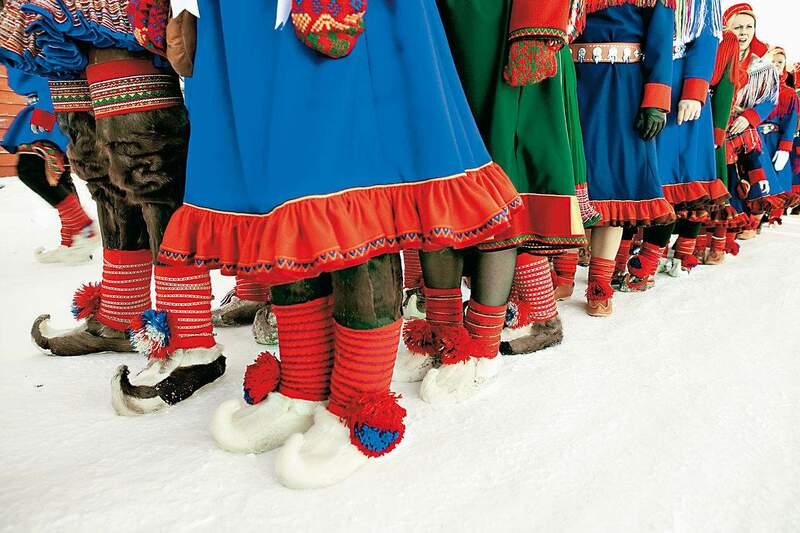 More refreshment was on offer in Harstad in a capacious tent with roaring, and constantly replenished, fire belonging to the Sami people, who are indigenous to the Arctic region. The welcoming tipple of apple-based spirit came in slippery receptacles, glasses made from icy water. Other examples of Sami handicraft were on show as our hosts, dressed in garish traditional costume, proudly discussed their history, culture, occupations (reindeer herding is a big thing). By the night’s end, we were marvelling at the breadth of the reindeer-based goods market, not least the soft and smooth rugs covering the benches. But probably the most welcome snack of the five-day trip was a bowl or two of simple fish soup served in an isolated cabin at the midpoint of our excursion on a 12-seater RIB (rigid inflatable boat) to explore the surrounding coastline and wildlife. The wet suits provided offered protection against water spray – particularly on the much speedier return journey – if not against the biting cold and face-freezing wind-chill. I learned too late that multi-layered headgear is essential. 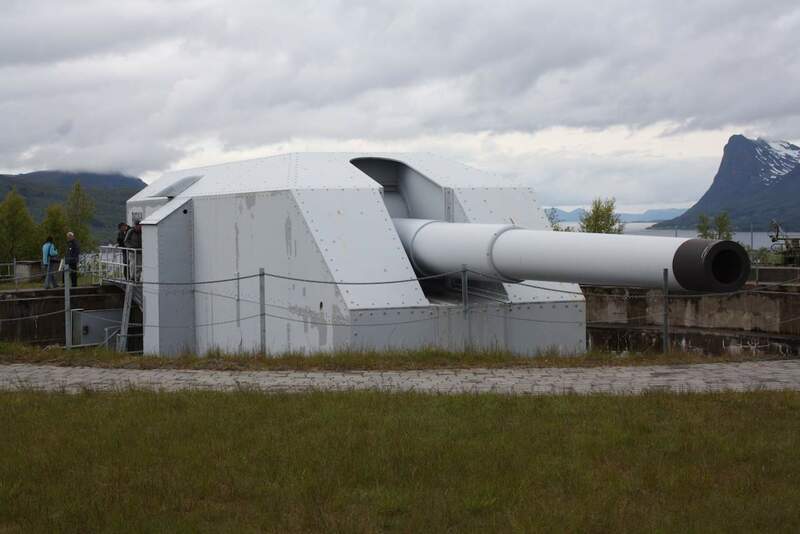 For variety, there was a short drive out to Trondenes to see the gigantic Adolf Gun, erected by the occupying Nazis, which had a range of more than 50 kilometres. The only weapon of its type to undergo complete restoration, it is now the centre of a military exhibition of wartime equipment and instruments. 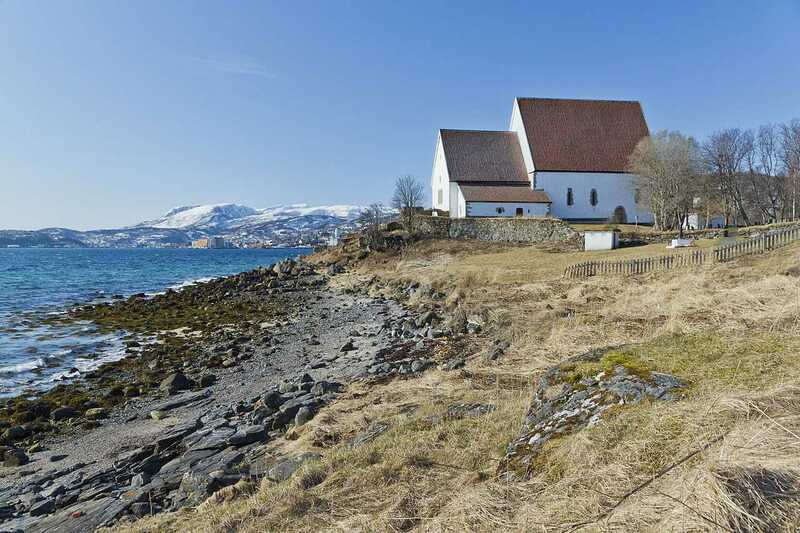 The trip also incorporated a stop-off at the nearby church, the world’s most northern, dating back to Viking days, before a final foodie treat – lunch at Rokenes Manor. A family property for 10 generations, its main house was built in 1750 and contains a treasure trove of fascinating memorabilia. In Harstad, the shops shut on Sunday and early the previous day. We quickly realise the longish weekend must largely be a means to give locals recovery time. A three-piece band is belting out rock covers to a significantly inebriated crowd for whom the price of drinks seems no deterrent. For us, though, it was (Northern) lights out.